2 & 3 Bedrooms Luxury Pool Villas for sale in Nai Thon, Phuket. 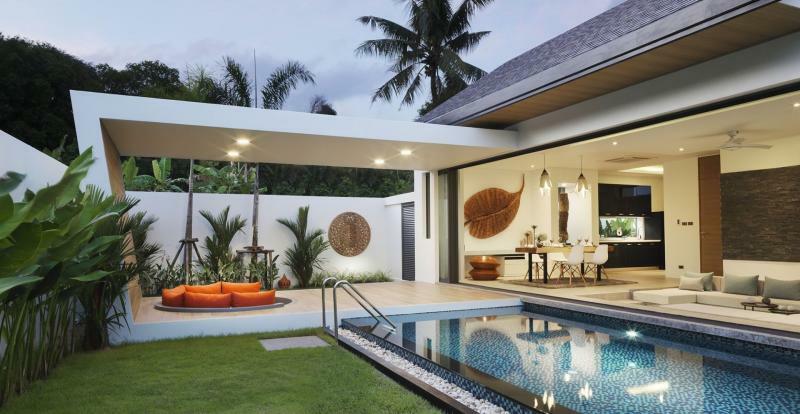 This is Brand New Development in Nai Thon with only 14 modern and luxurious villas with private pool, designed in a contemporary style with 2 or 3 bedrooms, each villa provides a private pool surrounded by its private tropical garden. Price includes swimming pool, landscape, air condition, built-in furniture, Kitchen & Terrace with outdoor sofa. Located in the peaceful area of Nai Thon, on Phuket West Coast, the development is a short distance away from Nai Thon and Nai Yang beaches, local and international restaurants, Phuket International Airport.